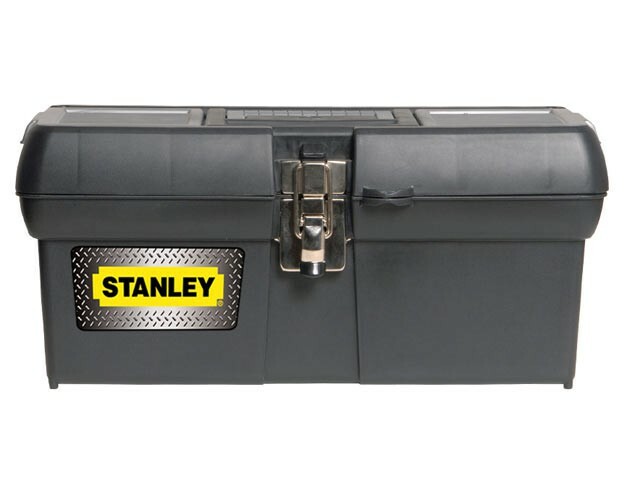 This toolbox has robust metal latches for secure fastening. The soft grip handle folds flat into the lid, which also includes 2 organisers which are accessible without opening the toolbox. A built in padlock eye enables the toolbox to be locked, and there is a removable tote tray inside.